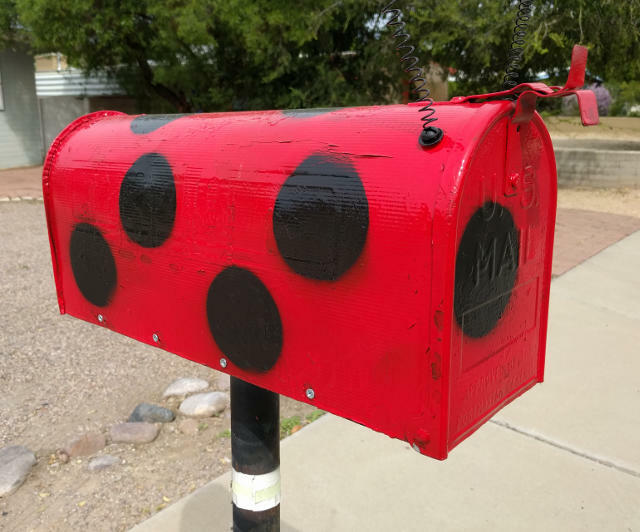 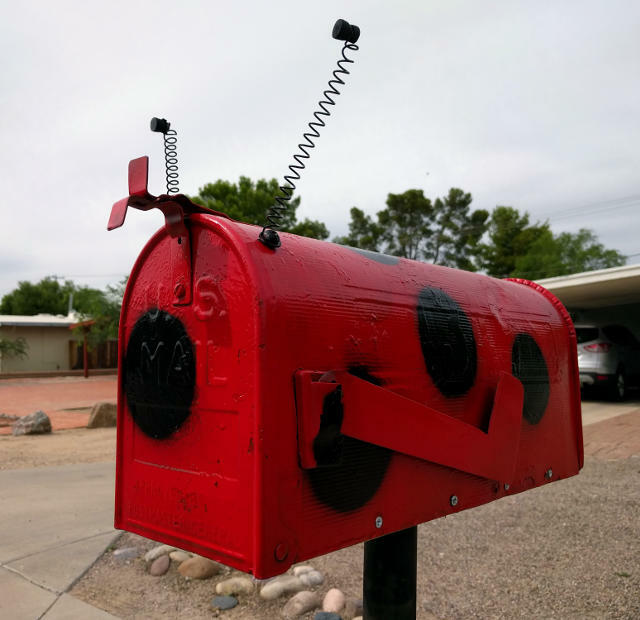 Ever seen a ladybug mailbox? I think that's what this is: red with black spots and two springy antennae. I buzzed by on September 19th.